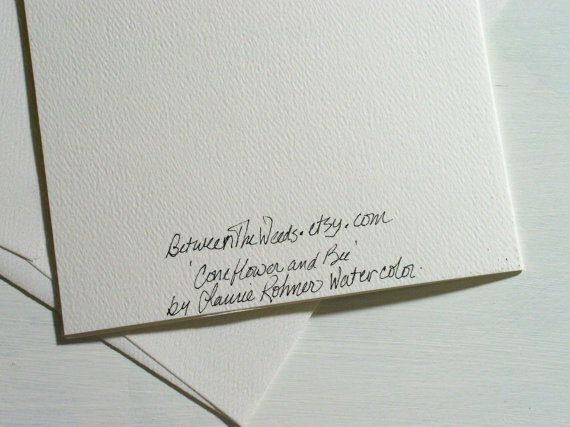 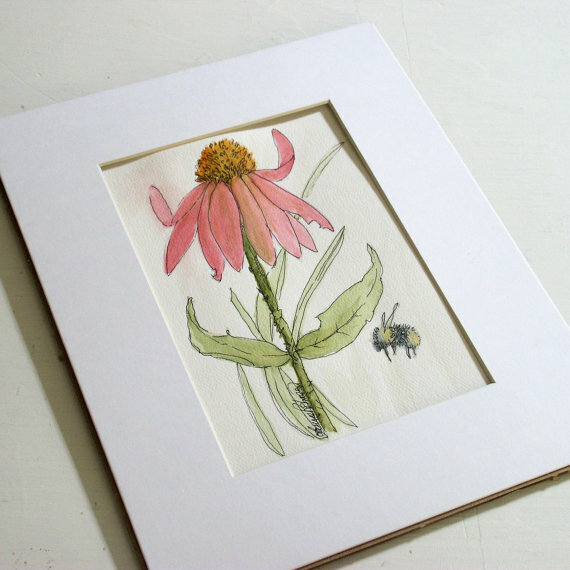 Nature Art Blank Card: Botanical watercolor illustration of a Pink Flower and Bee. 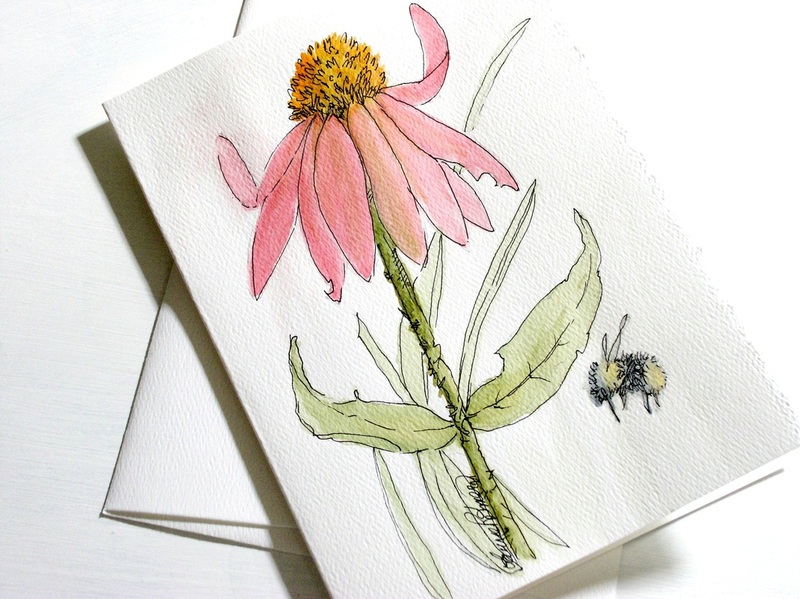 Original botanical watercolor painting, title Pink Flower and Bee is a woodland garden flower illustration original art by Laurie Rohner. In every garden I have ever designed I have always found room for coneflowers. 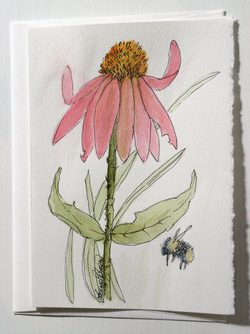 Now botanical gardens have huge displays of different colors of coneflowers but my favorite is still raspberry. 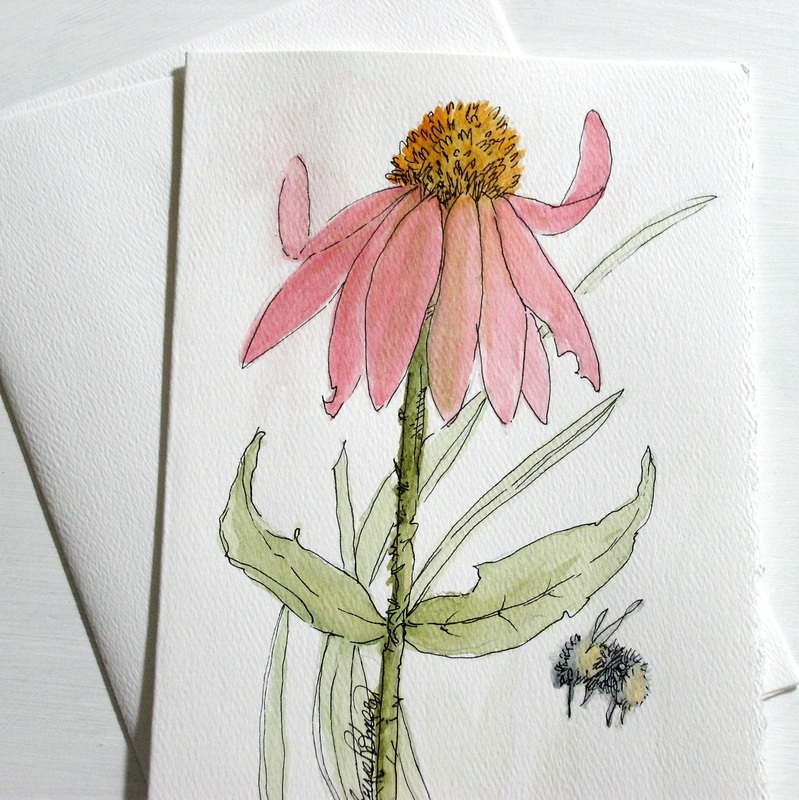 I love to add a bumblebee to my art, gives a bit of whimsical fun. 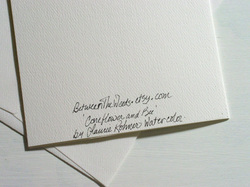 Check out my other nature art cards and miniatures at Laurie Rohner Studio Here.